Just two years ahead of a crucial UN climate change summit, many of the world’s richest countries continue to pour finance into fossil fuel subsidies, with average spending running at $112 per adult according to a new report from ... global development think tank, the Overseas Development Institute (ODI). The report Time to change the game the game notes that fossil fuel subsidies cost over half a trillion dollars globally every year. It says that these subsidies create perverse incentives favouring investment in carbon-intensive energy. The author Shelagh Whitley calls for bold action led by the G20 to phase out these subsidies by 2020, with rich countries making the deepest and earliest cuts. Ms Whitley said: "The rules of the game are currently biased in favour of fossil fuels....The status quo encourages energy companies to continue burning high-carbon fossil fuels and offers no incentive to change. We’re throwing money at policies that are only going to make the problem worse in the long run by locking us into dangerous climate change." The report accuses governments of ‘shooting themselves in both feet’ by failing to put a proper price on carbon, and instead incentivising the use of high-carbon fossil fuels. Fossil fuel subsidies include measures to help to reduce fossil fuel prices paid by consumers, and tax breaks to oil and gas companies. The average subsidy provided by rich governments for every tonne of carbon is $7. This is the same as the current cost of carbon in the EU carbon trading system – meaning the carbon price may as well not exist. Domestic subsidies in rich countries outstrip international climate finance provided to help address climate change in developing countries by a ratio of 7:1. In some countries – India, Pakistan and Bangladesh – fossil fuel subsidies are more than double the level of spending on health services. 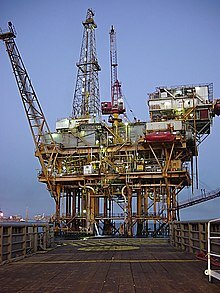 In countries such as Egypt, Pakistan, Morocco and Bangladesh, fossil fuel subsidies outweigh the national fiscal deficit. These facts add to research from the International Energy Agency (IEA), which revealed that global subsidies to fossil fuels are six times higher than those for renewable energy – despite the popular perception that it is too expensive to go green. The Organisation for Economic Cooperation and Development (OECD) also recently stated that coal – the most polluting fuel of all – is subject to the lowest levels of taxation. The report builds on earlier ODI research, showing that climate change is likely to hit the developing world the hardest of all, posing a threat to poverty eradication.